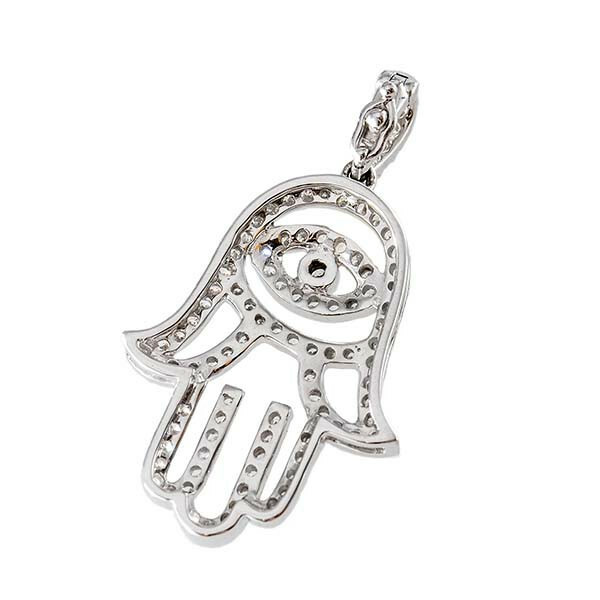 Aaron Basha creates an exotically chic charm with this Hamsa piece. The open design features glittering white diamonds in a gorgeous 18kt white gold setting. 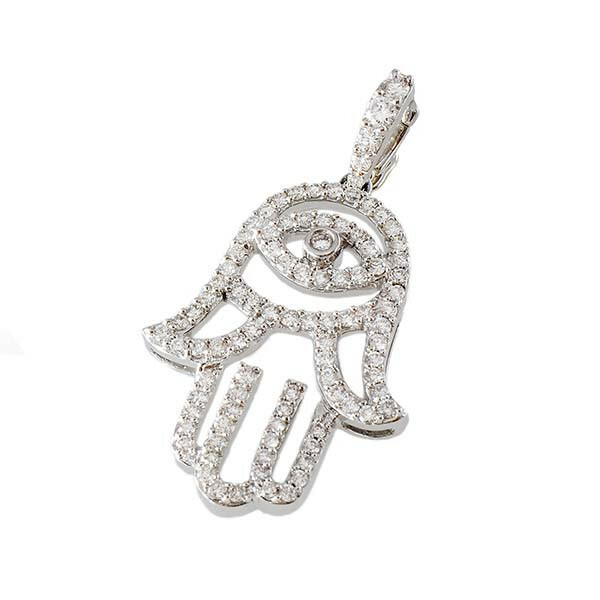 The fashion police will give you two thumbs up when you place this trendy Aaron Basha charm on your charm bracelet or necklace.